apparently plans changed and on October 9th Floor Jansen was officially announced as new lead vocalist. Also, Nightwish has no more 5 members but 6! Troy became new full-time member of the band. grateful of the bond that has grown between all of us. We love you guys. 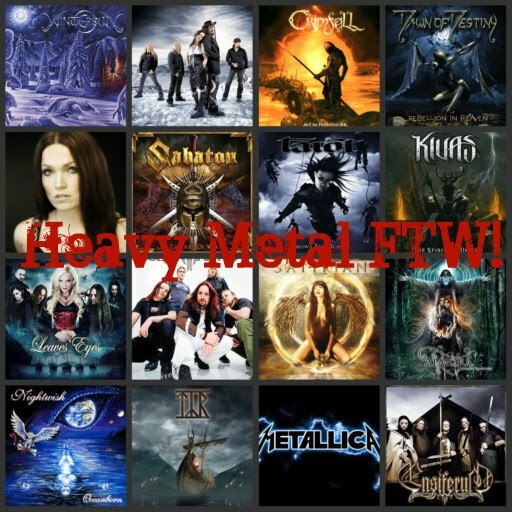 Commented vocalist Floor Jansen: "Words cannot describe what I feel! This union is beyond everything and I cannot tell you how wonderful it is to continue this amazing journey with my new brothers! Once I had a dream....and this is it!!!" Piper/whistleman, added vocalist Troy Donockley: "'Imaginaeum World Tour' was a revelation to me an in that time, I became aware of a growing unity and then, finally, a transcendence of all the usual nonsense that affects bands. A beautiful process. And since the idea, the musical dream that NIGHTWISH has been a part of me since before I was born, I am delighted to officially sail into uncharted waters with my brother and sister. Wondrous scenes Ahoy!" The new line-up can be seen on the live / tour documentary Showtime, Storytime, released on November 29th. I've seen that quote "A woman needs a man like a fish needs a bicycle." I'd say the same thing about Nightwish and a piper. But I'm glad Floor will stick around. It makes me look forward to the next album!